A piecewise function behaves differently in different intervals of its domains. One example of a piecewise function is the absolute value function. 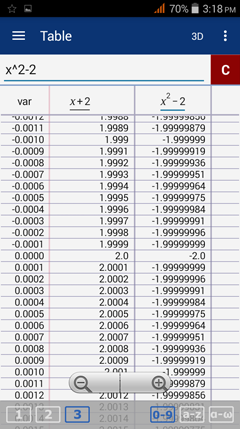 An absolute value function increases when x > 0 and is equal to x. It also increases when x < 0 and is equal to -x. 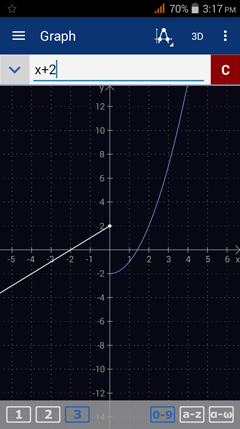 Due to the nature of piecewise functions, the graph of f(x) may have discontinuities. There are multiple cases for finding the limit of a piecewise function. 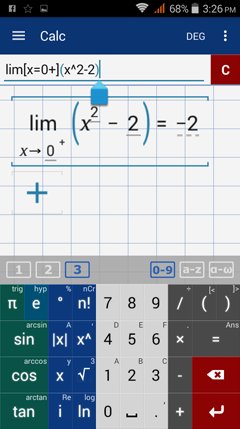 If x = c is inside an interval but is not a restricted value, the limit is f(c). If x = c is at a restricted value or where the function changes behaviors, consider both left- and right-hand limits. Refer to the given function f(x) to evaluate each limit. ​Since x = 2 is in the interval x > 0, plug 2 into f(x) = x^2 - 2. The limit is f(2) = 2^2 - 2 = 2. Since x = 3 is in the interval x > 0, plug it into the function f(x) = x^2 ​- 2. The limit is f(3) = 3^2 - 2 = 7. Since x = -5 is in the interval x < 0, plug in -5 into the function f(x) = x + 2. The limit is f(-5) = -5 + 2 = -3. ​Although the function changes behavior around 0, we are looking for the right-hand limit. Because x approaches 0 from the right, we plug 0 into the function f(x) = x^2 - 2. The limit is f(0) = 0^2 - 2 = -2. Because the function changes behavior around 0, we have to consider the left- and right-hand limits. Since f(x) approaches 2 from the left and -2 from the right, the limit of f(x) does not exist. Sketch the graph of f(x). Because the graph has a jump discontinuity at x = 0, the limit as x approaches 0 does not exist.